Halloween alternatives that still make for a scary good time! It’s the week before Halloween and you only have one more week to finalize your costumes, stock up on your goodies, and bake those festive treats! So, we thought, why not explore some non-traditional ideas on what to hand out when the trick-or-treaters stop by your house and how to handle celebrating the holiday with your family. We compiled this great list of non-traditional ways to celebrate Halloween last year (check out the original post here!) and we just had to share it again! See below for some events that most towns offer and then see what you can find near you! 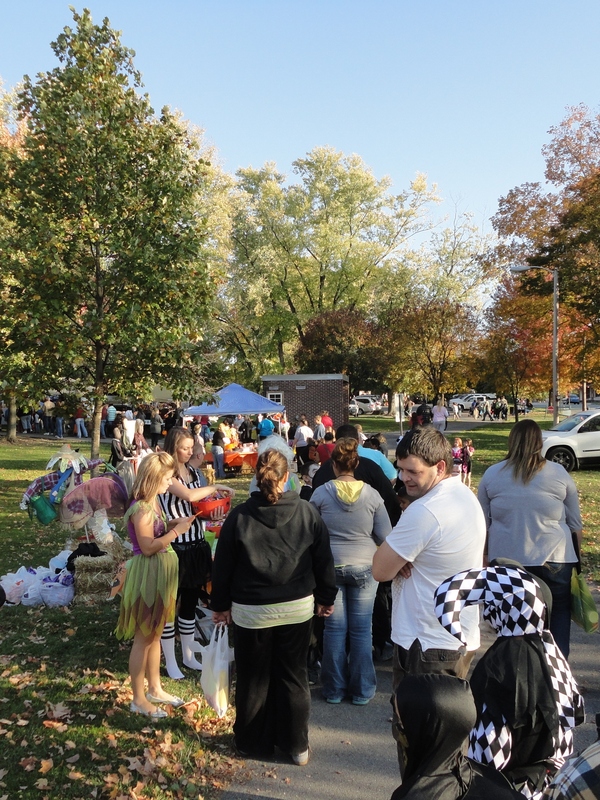 Shopping Center – Local shopping malls often host trick-or-treat events and throw in a bonus costume parade of sorts. This is a great option if your child is young and doesn’t have the stamina to walk around a huge neighborhood while dressed in a cumbersome costume. 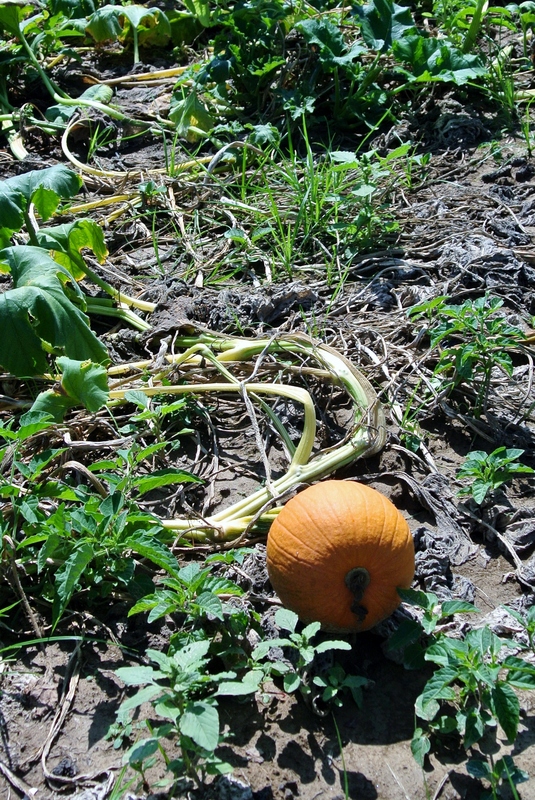 Pumpkin patch – You took your kids to the local pumpkin patch already to pick out your jack-o-lantern but did you know lots of these fall businesses throw their own Halloween event? Find out if your local patch is getting in on the fun – some even offer creepy evening events to add to the spook factor. Just be sure to ask what ages the event is geared toward. Doctor or dentist office – If you’re hoping for Snickers bars and jellybeans, don’t hold your breathe. But if you want a guaranteed fun, age-appropriate and relatively healthful Halloween, then find out if your child’s dentist or pediatrician’s office is holding a Halloween event. These are professionals who know what’s best for your child so you know they won’t go overboard with the scary stuff and they won’t send your kid home with a pail full of tooth-rotting sugar. Church – Whether it’s your family’s church or one you’ve been thinking about trying, lots of churches offer Halloween-related events. Some religious denominations do not observe the holiday but even those try to offer some sort of alternative celebration for kids to participate in. 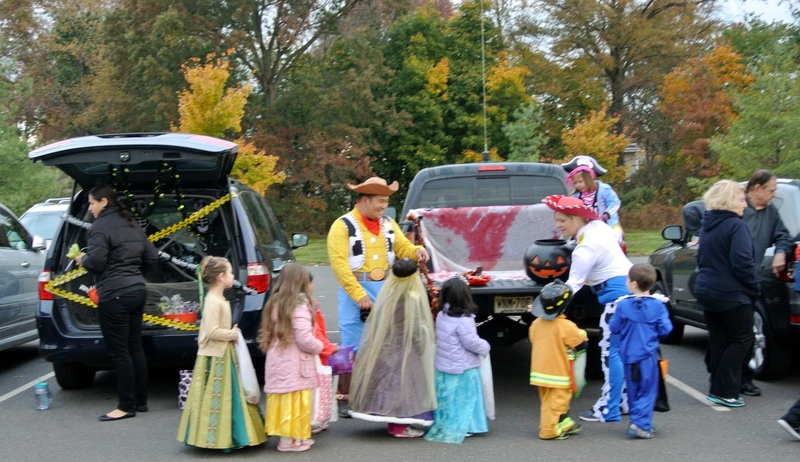 Trunk or treat is also a relatively new tradition that some churches have started hosting. It involves a parking lot full of themed, decorated cars. Adults dressed to match their car’s theme hand out candy or other treats to kids as they pass by. It’s another good option for little ones because there isn’t a lot of walking involved but their treat bags get full fast! Local parks or area attractions – Check your community’s website to see if any of the parks in your neighborhood or other major tourist draws, like zoos, theme parks or museums, are offering a Halloween event for kids. House party – When all else fails, host or attend a house party! Last year another Moving Mom I knew was kind enough to invite a group of our husbands’ nomadic colleagues and their families to her house for a Halloween bash that married the frightful fun for kids with the more adult (think spiked witch’s brew) for grown-ups. Then we all took the kids trick-or-treating together through her neighborhood. This girl is the queen of all things crafty and managed to host a fantastic themed-party that made all the kids (and adults for that matter) forget that they were transplants to the area for this holiday and just indulge in all things Halloween. Instead of New Year’s resolutions…Give this a try!